The face of prejudice changes with time; the perspective and identity of both the judger and the judgee change, morphing into different identities and forms in different generations. Throughout generations and around the country, traditional racial profiling training programs have not been based on science and have reflected outdated understandings about prejudice. For example, police training programs have driven home the message “stop being prejudiced,” with an emphasis on reducing bias toward stereotyped groups. However, science tells us this message is ineffective for most individuals in society, including police officers, who may not have explicit prejudices. Furthermore, individuals receiving this message can be offended, producing a backlash that is counterproductive. 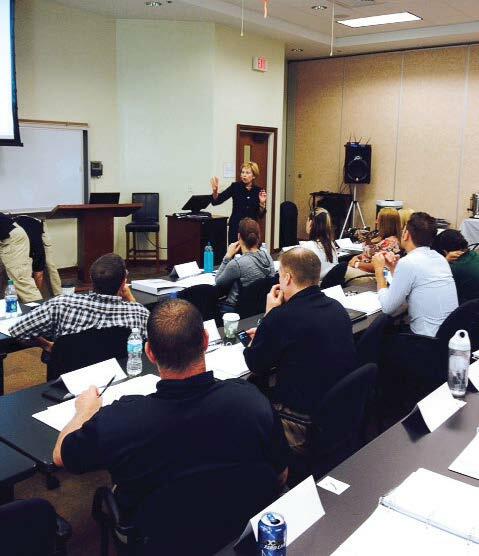 These circumstances are what drove Lorie Fridell, associate professor of criminology with the University of South Florida, to develop a fair and impartial policing perspective. 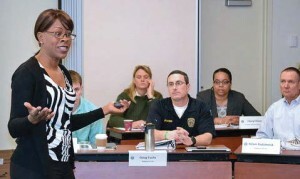 “This perspective changes the way experts in the field of policing and bias have been thinking about, talking about and training on this topic,” she said. What’s more, Fridell said her perspective represents a sign of the times. The topic of implicit bias “has left the confines of academic journals and has impacted the public and police departments.” She said it can also be seen in the medical and corporate worlds — a sign that it’s becoming more accepted by society at large. She believed those two concepts could coexist. She took them into account when developing the fair and impartial policing perspective, which reflects a new way of thinking about the issue of biased policing. According to Fridell, social psychologists have shown that “implicit” or “unconscious” bias can impact what people perceive and do, even in people who consciously hold non-prejudiced attitudes. She cited an example from her website. 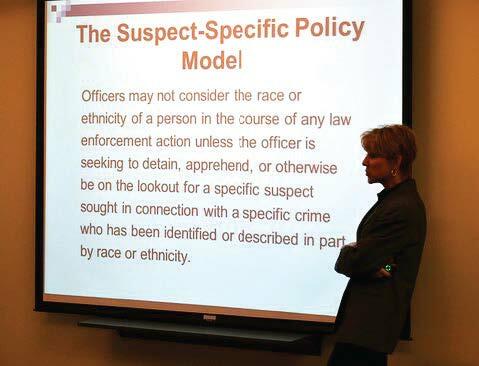 In order to combat potential bias, Fridell said agencies need to implement what is called a “comprehensive program to produce fair and impartial policing.” Elements of this comprehensive program encompass: recruitment/hiring; agency policy; training; leadership supervision and accountability; assessing institutional practices and policies; outreach to diverse communities; and measurement. This perspective challenges law enforcement professionals to change the way they think about biased policing. She realized police bias, and bias in general, stem from a societal ill and, therefore, cannot be eradicated overnight. The onus rests on law enforcement departments to provide training “that makes personnel aware of their unconscious biases so that they are able and motivated to activate controlled responses to counteract them.” Moreover, this training needs to be presented in such a way that it does not offend or make assumptions. In addition to developing the curriculum, Fridell has worked hard to make the training programs accessible to agencies and their personnel: The FIP perspective has been placed into five training programs. 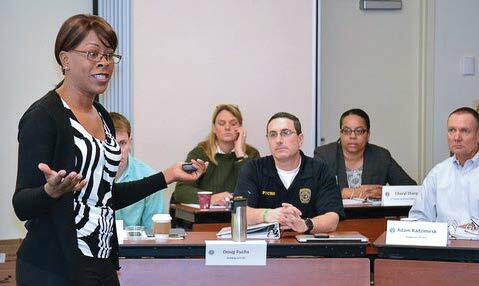 The first is a 1.5-day command level (or command and community stakeholder) training. 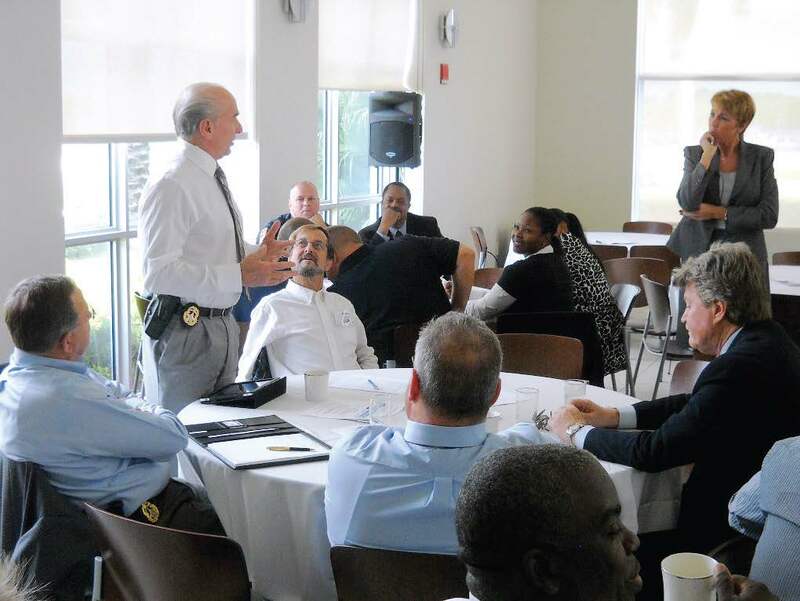 With COPS Office funds, six-hour curriculums for recruits/patrol officers and five-hour curriculums for first-line supervisors have been developed. The other is a train-the-trainer session, during which trainers learn to implement the recruit/patrol and supervisor curriculum in their own agencies/academies. New as of July 2013 is a training curriculum for mid-management, such as captains. To date, Fridell has worked with several dozen international, local, state and federal clients. Among them is the Tallahassee, Fla., Police Department. Chief Michael DeLeo was responsible for bringing the fair and unbiased training to his area. “We were looking for different ways to improve the agency and meet its needs, while adopting best practices,” said DeLeo. A big believer in evidence-based programs, he said the agency first inquired into Fridell’s program about a year ago. It decided to move forward with the training, which started in May. There are several rounds of training scheduled. DeLeo said there was some initial reluctance on the part of his police colleagues, which he expected. That attitude likely stems from a type of diversity training used in the past, which only focused on differences. Speaking of communication, DeLeo added that a key part of the department’s success has been the “very frank conversations” with community groups, like the NAACP. He is also quick to point out that this training was not mandatory, but rather a proactive move. He’s proud of the fact his department is “ahead of the curve” and its members must hold themselves to the highest standards. For more information about fair and impartial policing, visit www.fairimpartialpolicing.com.